Potatoes grow from tubers, and the way that they grow determines how you can best grow them. They grow from a tuber, and they sprout from the top and sides of this tuber. Once they start to shoot, new potatoes will begin to form within a few weeks. Potatoes are not difficult to grow in many parts of Australia although most varieties do perform a lot better in cooler climates. Heirloom potato varieties can provide excellent taste and texture not found in some commercial types. A few things to consider will be climate, when to plant them, the choice of growing them in the ground or in a raised garden bed, and of course the variety of potato you wish to grow. If you can start with healthy soil you can easily grow lots of great potatoes. And do they taste better than the ones you buy from the shops ? That depends on where you buy them. Look carefully at those bags of spuds, may look a little green, which means they have not been stored properly and are a little on the old side. Our simple no dig potato growing method. They are the ideal plant for a no dig garden, as you can grow them on top of the ground. Simply cover an area with cardboard to suppress the weeds. Place your potato tubers on top, and then cover them with some rotted compost and straw. Then simply keep building up the straw and compost around the plant. Keep them moist, they will send out more shoots. Fertilise regularly with additional compost, seaweed fertiliser and well rotted cow manure. You can end up with a crop of 5 to 7kg of potatoes. You can plant potatoes from August to October, and in fact in frost prone areas late in August until October is a good time to plant them. Seed potatoes can be ‘pre sprouted’ in a dark slightly warm position indoors before planting. 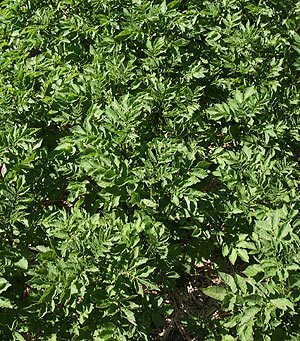 Potatoes that have a number of eyes or shoots can be cut into two a few weeks before planting. This gives them time to harden a little and prevents rot and disease. And remember potatoes are gross feeders, so add extra compost around the plants as they grow, and prepare the soil well with lots of compost and well rotted manure before planting. Some general purpose plat fertilizers will give them a good start as well. Why pile up the soil when growing potatoes? This process also helps produce more potatoes as they tend to form on roots near the surface, as you pile up the soil, new roots, new potatoes, more potatoes…. Try a good organic fertilizer, blood and bone, seaweed extract, fish or liquid comfrey. Keep the water up and away you go. Potatoes can also be grown in stacks of old car tyres, plant the seed potatoes at the bottom, let them grow to about 50cm, place a tyre over the top and add 8cm of soil, let hem grow a little more, add some more soil, add another tyre and so on, in the end a stack of potatoes. Once the lower leaves start to die back its time to harvest the potatoes. You can harvest all of them at once or from the top down a tyre at a time. This process can also work with other tube like structures. If you plan to store your potatoes, cut off the foliage and let the potatoes rest in the ground for 3-4 weeks to allow the skin to ‘set’, they keep longer this way. Growing potatoes in Australia is always best from certified seed potatoes if you wish to ensure a quality a good potato crop. As for potato plants flowering, MOST do, SOME do not. Potatoes flower around 2 months after planting. 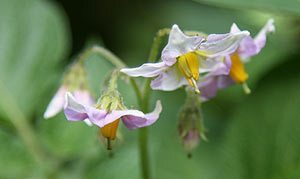 Flowering is normal for many varieties and usually this indicates that some ‘new potatoes’ have formed and may be ready to harvest. Some people like to pick the pretty flowers for indoors. Roasting Potatoes include: Arran, Royal Blue, Cara, Celine, Desiree, Maxine, Picasso, Ruby Lou, Romano, King Edward, Kondor, Maris Piper, Stemster and Valor. For Chip Potatoes try: Nadine,Kestrel, King Edward, Desiree, Kennebec. For Boiling Potatoes try: Nadine, Dutch Cream Kestrel, Desiree, King Edward. For Mashing Potatoes try: Kestrel, Nadine, King Edward, Tasmanian Pinkeye. For Salad Potatoes try: Nicola, Tasmanian Pinkeye, Ponfine. For something different try: Sapphire, with purple flesh it looks great mashed and roasted. Australia's biggest and best range of quality certified seed potatoes. Delicious traditional, heirloom and gourmet varieties grown in Tasmania.